Home → Mods → Squonk Mods → IJoy Capo 100w Squonker Kit Review | Worth the Hype? IJoy Capo 100w Squonker Kit Review | Worth the Hype? In this hardware review, we’ll be taking a look at one of IJoy’s newest releases, the Capo 100w Squonker Kit. Although we’ve seen many squonk box mods and squonk kits being released towards the end of 2017, we haven’t seen that many regulated squonkers, which is what the Capo 100w Squonk Mod is. This is the entire kit so you do receive the device, a 20700 battery and the Combo RDA Triangle which is familiar to an atomizer IJoy recently released. Before getting any further into this vape review, we’d like to thank Heaven Gifts for sending this squonk kit our way for the purposes of this review. We’ll cover our first impressions, building and wicking, usage, performance, pros and cons and then conclude with whether or not we recommend the IJoy Capo 100w Squonker Kit! Click Here to Check Out the Capo 100w Squonker Kit by IJoy! The IJoy Capo 100w Squonk Kit is packaged really well and the contents inside are held securely in place. On the front of the initial packaging it shows some basic information about the kit such as the capacity, wattage output and screen size. On the back, you’ll find some more information and lets you know what’s included. Do keep in mind, this specific version of the starter kit does include a 20700 battery, but there is a kit available that does not include one. With that being said, once you flip open the box, you’re immediately met with the Capo Squonker Mod and the Combo RDA Triangle. Underneath this is where you would find the IJoy 20700 battery, spare squonk bottle, spare parts pack, a pair of pre-built coils, an 18650 battery adapter, a micro USB cable and user manuals. It’s definitely a pro that they do include all of these extras, and it’s something I like to see with all starter kits. My first impression of the IJoy Capo Squonker is that it’s relatively compact, especially when considering it houses up to a 21700 battery, the chip and the squonk bottle. Typically, these mods are quite large in size due to what has to fit inside, so I was happy with the Capo’s overall size. The Combo RDA Triangle looks pretty much identical to the original Combo RDA. This RDA atomizer does come with a wide bore Ultem drip tip, which looks to be 810 compatible. In addition, the color of the Combo RDA Triangle does match the color of the Capo which is a nice touch. Like other IJoy box mods, the Capo 100w Squonker has an extra large firing button, and like the original Capo box mod it has a large display screen on the front, and the battery cap right at the top. I do want to mention right away that this device can accommodate atomizers up to 25mm in diameter without any overhang, which is definitely a pro in my book. Another pro is that it can utilize 3 different battery sizes which are 18650, 20700 and 21700. I am glad that this kit does include the 20700 IJoy battery rather than the 21700, as it’s a much better performer. The Capo Squonk Mod does feel really good in the hands, and when holding it to fire with your pointer finger, your middle finger naturally sits on the squonk bottle, making it easy to squonk with. All of the buttons are nice and clickly as well, which is something I personally prefer. Overall, my first impressions of the IJoy Capo 100w Squonker Kit was great! There were no cons to be mentioned in my first impressions. The IJoy Combo Triangle RDA features a simple two post build deck, so installing coils in this atomizer is pretty easy. One thing I do want to mention that I personally dislike is that the inner post holes are positioned higher than the outer post holes, which can cause some issues when it comes to wicking, which I’ll cover later. The Combo Triangle RDA does sport a base diameter of 25mm, so the build deck is on the larger side, so you can fit some pretty chunky coils in this RDA atomizer. I was able to easily fit a Stainless Steel Staggered Fused Clapton from Advanced Vape Supply. The inner diameter of these coils were 3mm, and these specific coils are pretty large, so I can definitely say you can fit Fused Claptons, Aliens and more with zero issues. This was my preferred coil build, and the resistance came out to around 0.19 ohm. I do want to mention that this is a dual coil RDA only, so you won’t be able to do single coil builds in this RDA. This is a subjective con, but still worth mentioning. Wicking the Combo Triangle RDA is rather easy, but since your lower leg of your coil will be on the ends of the RDA, this can cause a minor issue with stuffing your cotton into the juice well. It’s not the biggest deal in the world, just more of an annoyance really when it comes to wicking as your coil leg can sometimes “catch” on your cotton or just make it a little more diificult to place your cotton into the juice well. It’s just more ideal to have the higher or upper coil legs on the end since it makes it easier to wick. When it comes to wicking this atomizer, you do have a good amount of room since it does have a very deep juice well. I do recommend that you gently place your cotton so that it touches the bottom of the juice well. In addition, make sure your cotton is nice and fluffy. Lastly, be sure not to over stuff your cotton into the juice well and avoid placing your cotton on top of the squonk hole. Overall, building and wicking the IJoy Combo Triangle RDA is pretty simple and straightforward. There were minor issues to point out, but none that were deal breakers by any means. As mentioned earlier, the IJoy Capo Squonker Mod does feature a rather compact design, so taking it out with you is no issue whatsoever. It’ll easily fit in your pocket or bag. In addition, it is ergonomic as well, so it’s very comfortable in your hands. Not to mention, there’s no sharp edges to be found at all, which is definitely a good thing. The extra large fire button is a joy to use, and since it’s so large you don’t have to worry about finding it when vaping like you do with smaller buttons. The wattage up and down buttons look somewhat like a thunderbolt, which certainly gives it a unique appearance. A huge pro for me is that when using your pointer finger to press the fire button, your other fingers will lay around the squonk bottle, so it’s easy to squonk. The cutout for the squonk bottle is large as well, which adds to the overall squonking experience. One thing I really dislike is small squonking cutouts, so I was glad to see this wasn’t the case with the Capo Squonker. Navigating the menu system is incredibly easy as well, since this is a wattage only vape mod. This may be a con to some, especially to the vapers wanting temperature control. For me, I vape primarily in wattage mode, so it wasn’t an issue for me. Regardless, it’s a con that has to be mentioned. 5 clicks will turn the device on or off. Once the device is on simply use the wattage up or down button to scroll to your preferred wattage and that’s it! The metal housing protecting the squonk bottle from coming out is held on firmly by two magnets at the top. It’s easy to take off and put back on. Just be sure to put it on from the top where the magnets are and then secure the bottom area back into the mod. 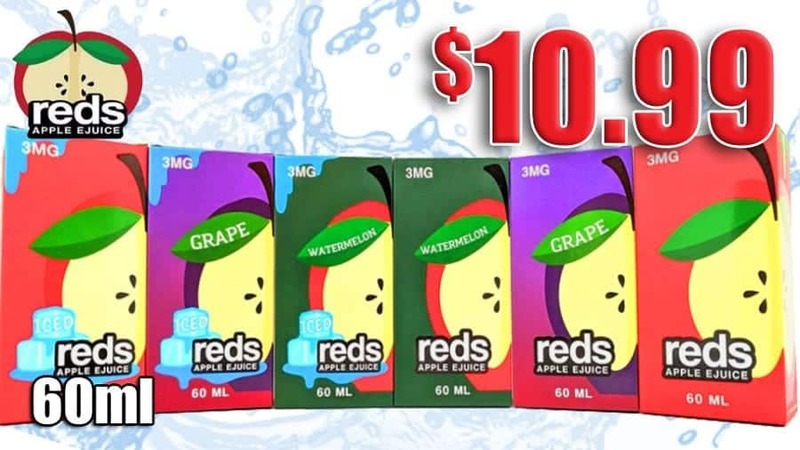 Something else worth mentioning is that the Capo Squonker does have a proprietary squonk bottle system; therefore you cannot use any aftermarket squonk bottles. This is a con to me as there are certain squonk bottles I prefer, but may not be a con to some. It’s not a deal breaker, but still worth mentioning. The Capo Squonker Kit does include 2 squonk bottles which is a good thing, but the spare squonk bottle is very stiff, making it hard to squonk with. I do feel that this specific bottle would break in after some usage, but I just preferred using the clear pre-installed squonk bottle, which is silicone and easier to press. This squonk bottle is quite unique as it’s soft in the center, but the top and bottom are hardened, so you can grip it without having e-liquid coming out through the top. This is a great idea, and I do think we’ll see more of these in the future. Overall, using the Capo 100w Squonk Kit by IJoy was great. It’s incredibly user friendly, and a joy to squonk with. 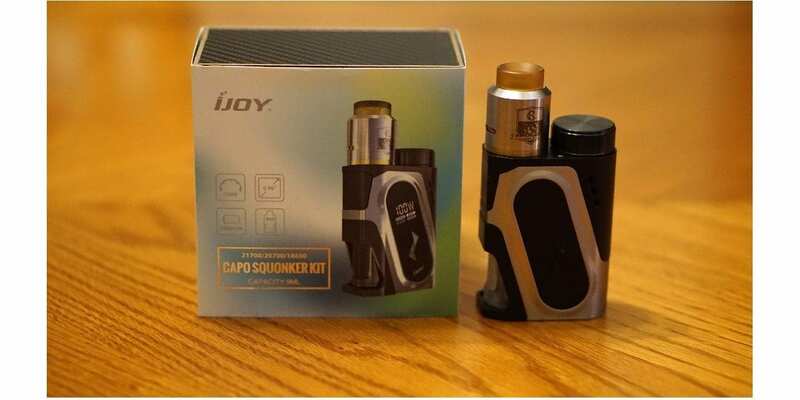 Now the biggest question of this review is how is the overall performance of the IJoy Capo 100w Squonker Kit? Well, I’ll first over the Combo Triangle RDA. As mentioned previously, my preferred coil build was a Staggered Fused Clapton (SS316L), which had a resistance of 0.19 ohm. I would vape this build between 60w and 75w, which provided me with a warm and flavorful vape experience. The airflow on this RDA wide open is pretty airy, so I would cut down the airflow to about three quarters open, which added some restriction and helped increase the flavor just by a little bit. It is side airflow, but beveled so that the air travels underneath the coil to mimic bottom airflow. While it’s not true bottom airflow, the flavor is still pretty good out of this RDA. The vapor production is also great, especially with my preferred coil build and wattage range. Squonking on the Combo Triangle RDA was great as well, and the deep juice well meant that I didn’t have to squonk too often. When squonking with this RDA, the juice goes pretty much exactly where it needs to, so the wick was always saturated with e-liquid. The included wide bore Ultem drip tip is comfortable and I never felt the need to replace it. Overall, the performance of this RDA was solid, and definitely a great addition to this squonk vape kit. Onto the Capo Squonker 100w Box Mod. It does have a maximum wattage output of 100w, and is compatible with three different battery sizes. To get the best performance, I found that using the included IJoy 20700 was the best bet. If not, I would recommend a high drain 18650 battery such as a Sony VTC5A or LB HB6 if you wanted to vape at higher wattages. Now, the biggest con to this kit is that it’s limited to a maximum voltage output of 4.2v, which is essentially the same as a mechanical mod. To get the maximum wattage output of this device you would have to build at a certain resistance, 0.18 ohm to be exact. With a single battery regulated squonker, I would personally vape a single coil RDA with a higher resistance coil build in order to maximize battery life and efficiency at a higher voltage. Unfortunately, you can’t with this device. I’m not exactly sure why IJoy decided to cap this device at 4.2v, as pretty much all other single battery devices have higher voltage outputs, such as DNA box mods which have voltage outputs of up to 9v! Now, with my preferred coil build I could reach the 60w and 75w range without any issues, but it did have a severe impact on battery life, which was expected since this is a single battery box mod. At this wattage range, I could easily plow through the entire battery within a couple of hours. I found that using a different RDA (single coil) with a lower resistance build would yield the best results. For example, I could use a single Stainless Steel Fused Clapton with a resistance of around 0.2 ohm and vape this build around 40w to 50w to get a good vape experience, and this would give me better battery life. Regardless, it’s not ideal to have to build a certain resistance to get a solid vape, especially on a regulated device. All in all, the performance of the IJoy Combo Triangle RDA was great. However, with the Capo Squonker, it wasn’t the best experience, strictly because of it’s maximum voltage output and having to build a certain resistance in order to get the vape experience desired. In conclusion, the IJoy Capo 100w Squonker Kit is a really nice squonk kit altogether that falls short in regards to performance, especially the mod. I really do like the aesthetics of this device, and the way it’s designed it’s great for squonking. In addition, the fact that it’s compatible with various battery sizes is a huge pro as there’s not many on the market that can do this. However, the fact that IJoy capped this device at 4.2v is just surprising, and not sure exactly why they choose to do so. That’s the major con to this kit, as the others aren’t really that big of a deal. Like mentioned previously, on single battery squonkers I typically like to have a higher resistance single coil build in order to get the most battery life and performance utilizing a higher voltage. Although, I can utilize a lower resistance single coil and vape higher wattages with it, you still have to build a certain way in order to maximize the performance out of this device. 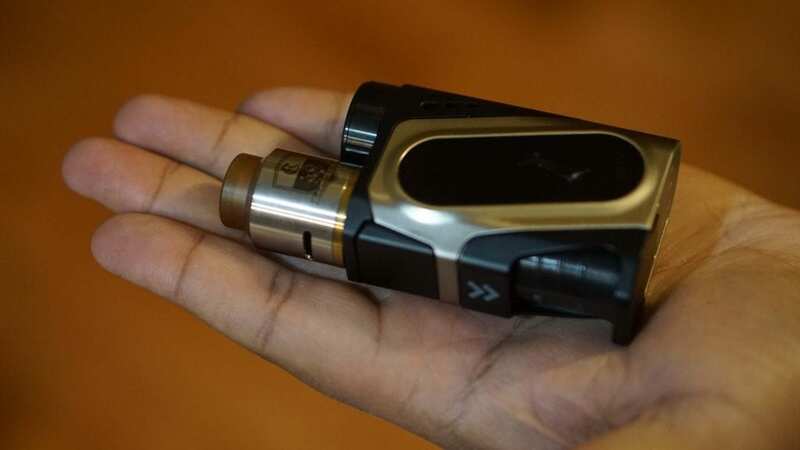 Now, if you’re a vaper who usually vapes under 4.2v, then this won’t be an issue for you and you would probably be happy with the overall performance of this squonk starter kit. However, for me, the IJoy Capo 100w Squonker Kit simply wasn’t worth the hype and I do hope in the next version they fix this issue. 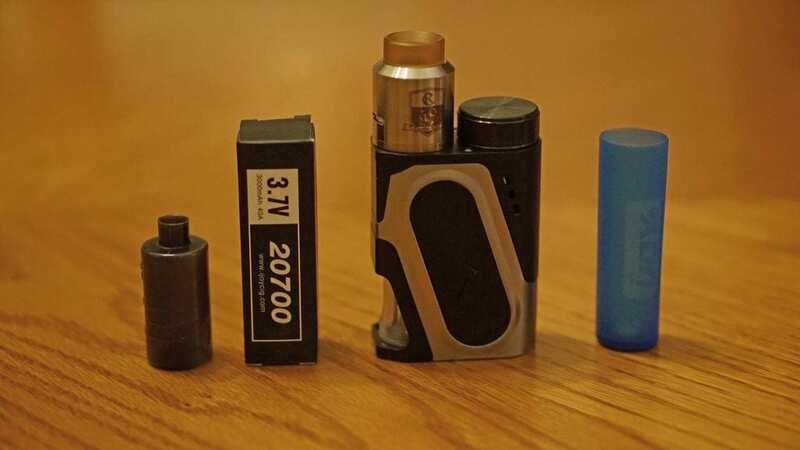 We hope this review helps you in picking the right squonk kit that fits your vaping needs! Feel free to leave any questions or comments below! Thanks for reading!